Studio Ghiblet team members Michael Casner and Lauren Kacere demonstrate the starting screen of ‘Spark,’ a one-player computer puzzle that challenges the user to piece together a dementia patient’s past based on photographs and audio clues. When imagining dementia as a desktop game, Lauren Kacere and her team thought of an art gallery. As the game character caught in an octagonal room, the character walks closer to several photographs framed on the wall, listening to short voice clips – their memory of a moment in history. From those fragments, the player must piece together aspects of the character’s life before time runs out and their ‘spark’ runs out. “The object of the game is to put together your life, and put together the pieces and remember who that person was, so [the pieces] can put together the rest of your life’s history and your path,” Kacere said. 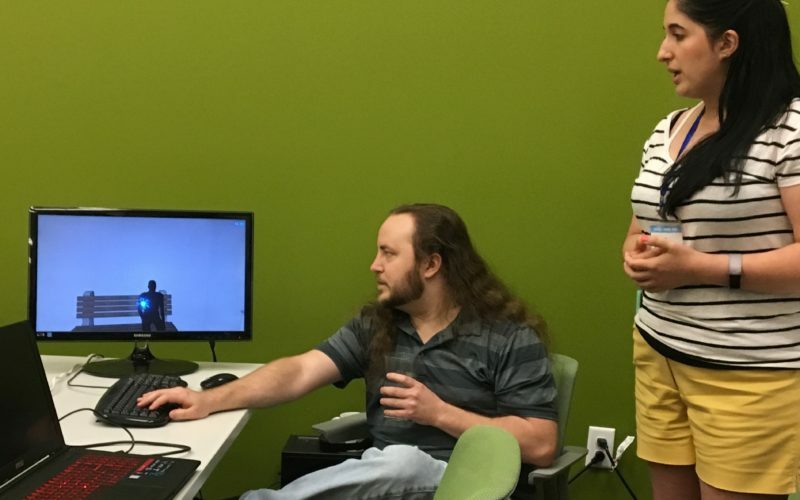 It is a thoughtful example of how dementia patients struggle with memory and identity – and the game was created in under three days at the first-ever Hatchlings Game Jam, which wrapped with a final demonstration of team games at 10 a.m. on Sunday. “Spark,” created by Studio Ghiblet teammates Kacere, Erin and Josh Rinderknecht, Michael Casner and David Kanuik, received overall the Best Game title by judges from Hatchlings Games, which hosted the weekend competition for the first time. Meanwhile, the Des Moines-based mobile gaming company has had a challenging time reaching out to potential hires who could fill developer jobs. “What we’ve realized is that we haven’t really done a good job building up our pipeline of relationships with people, so that when somebody’s ready for a programming job, they ever think of us. 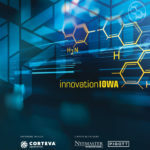 So in the process of trying to hire somebody, we’ve been racking our brains about what are creative ways that we can be one of the companies in Des Moines that they think of, when they think, ‘what’s a great tech job in Des Moines?’” Dwyer said. Hatchlings kicked the weekend off with an opening party on Friday evening at the Gravitate Coworking space, where participants grouped up in informal teams. The only rule: games had to be completed by 10 a.m. on Sunday, and ready to go. A few teams took on the challenge: “Spark” won $300 as Best Game overall, as judged by Hatchlings staff, and the team plans to keep developing the concept and work with dementia nonprofits to build public education. “Ew, Gross,” a board game developed by Jessica Ireland around trash cleanup, was named Best Game for Good by Hatchlings staff, and “Hive Mind” by Alex Reed won Best Board Game. Other teams explored topics like gender dysmorphia, space exploration and grocery shopping while autistic – that game uses virtual reality headsets to help the player understand everyday stressors for autistic shoppers at the store. All the development and creative property at the end of the weekend belongs to creators, Dwyer said.